The birdcage as a symbol and metaphor has been used across many human cultures. Moving from when we lived in hunter-gatherer societies until ultimately we took it with us into new urban environments. It’s a remarkably culturally pervasive symbol and it’s easy to draw many transcultural and historical comparisons. The focus of this investigation is primarily how we use the birdcage motif in modern western culture. However, in order to understand the ‘birdcage’ we also need to understand the broader context of cages in society. 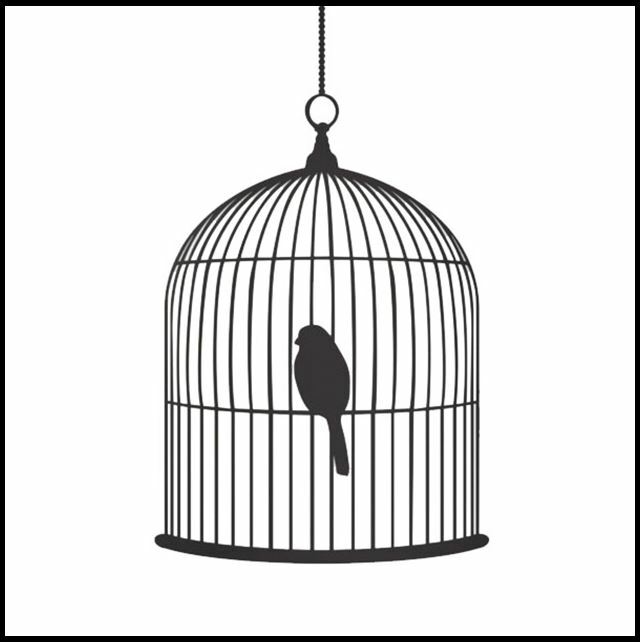 Furthermore, looking at how we semiotically use the birdcage in communication; from a psychological perspective to explore the cage as a container-metaphor that forms how we think. For anyone that read my last post on our love/hate relationships with cities, they might see a continuation of thinking here. I was interested in ‘rats in a maze’ across the last two posts I’ve made as an analogy that people use to explain modern living. The end point of my last post the new Danish Zoo, Zootopia was a concluding observation –in some ways it is a reversal of the traditional zoo model. While this has centralised viewing similar to Jeremy Bentham’s Panopticon Prison, it doesn’t evoke the ‘always observed’ nature that that design intended or the lack of natural environment that many contemporary zoos have. This is a cage-less design for the animals (although we walk into a cage to see them). Do we think we’re caged? If you do any type of qualitative projective work with people that live in cities, you get similar analogies and metaphors peppering their language, in how they talk about living in cities or moving through them. This is not to suggest that everything they think about city life is negative, but that the compounding effects of struggling to maintain individuality and a sense of independence amongst so many people results in some consistencies in urban experiences. Being one of the masses, within the condensed nature of city-living results in direct comparisons to things we cage in order to express how they feel about their lives: ‘I feel like a rat in a maze’, ‘we’re stacked like battery hens in my apartment block’ or ‘cities are getting crowded, we’re like sardines in a can’. If brands reflect back our dreams, aspirations and fears, perhaps a quick look at two campaigns for leading brands might be informative here. 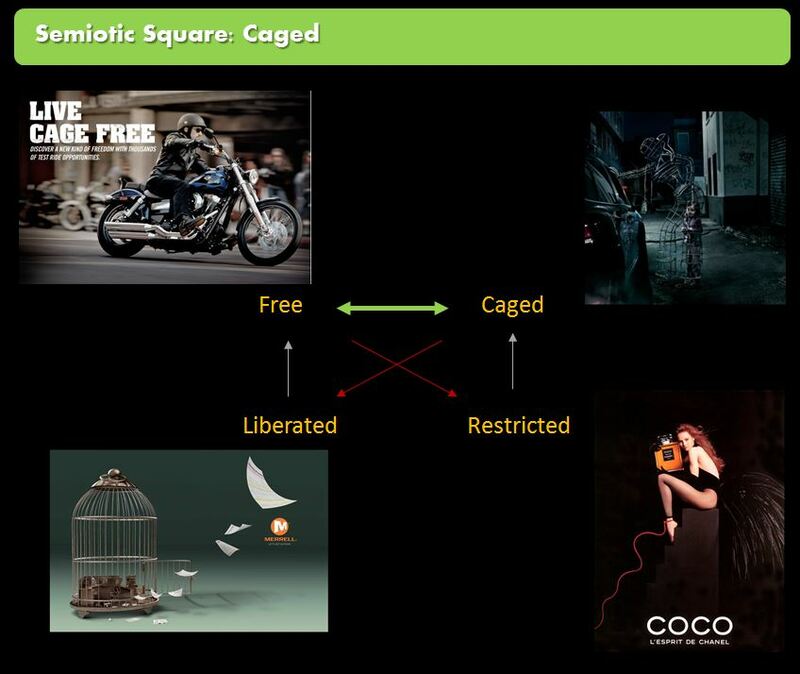 They both revolve around the idea of freedom; firstly, there is the iconic Harley Davidson campaign ‘Live Cage Free’. Hop on your horse and escape. 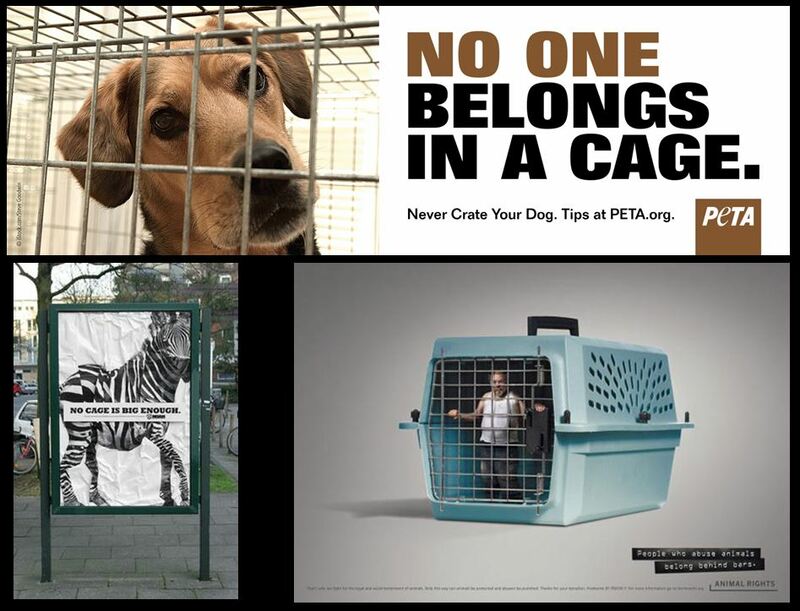 I’ll explore some other advertisements further in, but it is surprisingly easy to find examples of the ‘cage’ as an advertising metaphor; reflecting that not being ‘caged’ is both resonant and motivating. 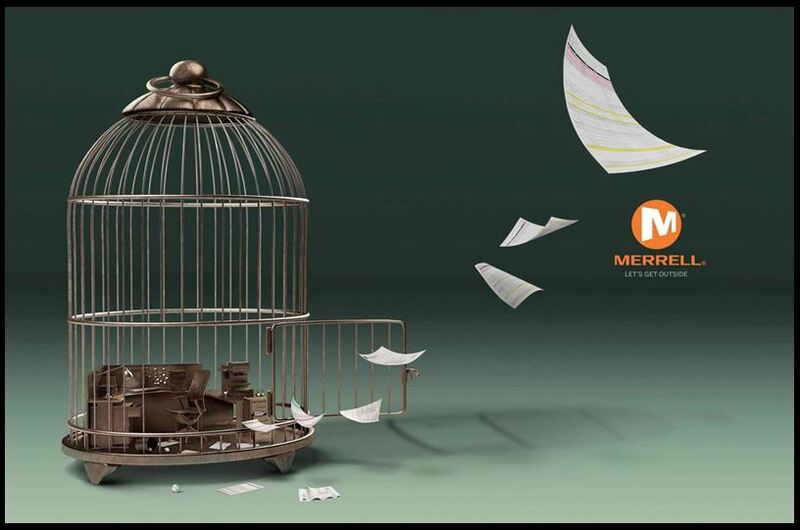 The use of the birdcage is not limited to advertising. E.g. 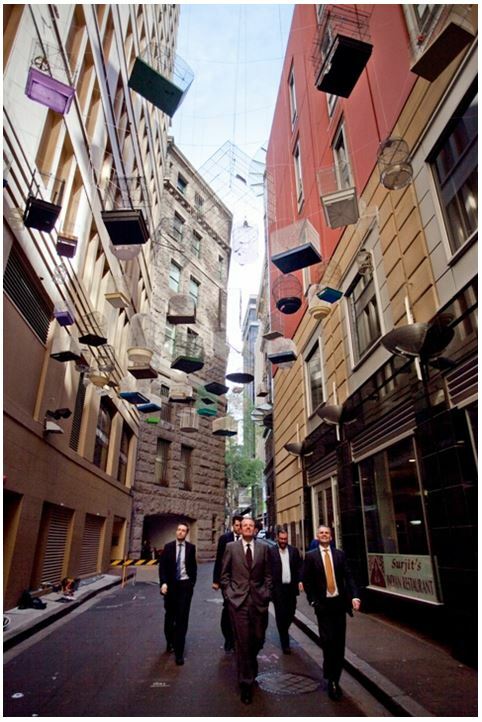 it’s interesting to reflect on a recent installation art piece in Sydney, Australia, where birdcages were hung as part of a street-scape art project. While the goal was to ‘source innovative and exciting ideas to temporarily transform our City laneways with engaging artworks and inspiring ideas’, this juxtaposition appears to be evoking the exact opposite – caged life and an absence of freedom or naturalness in the city. Looking more broadly at the cage from a psychological and historical perspective. 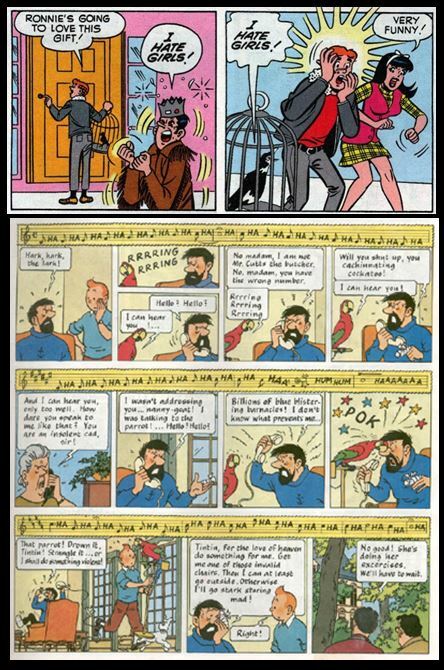 Semiotically looking at what the ‘birdcage’ as a type of cage means in Modern western culture – this is primarily by decoding its use in advertising. 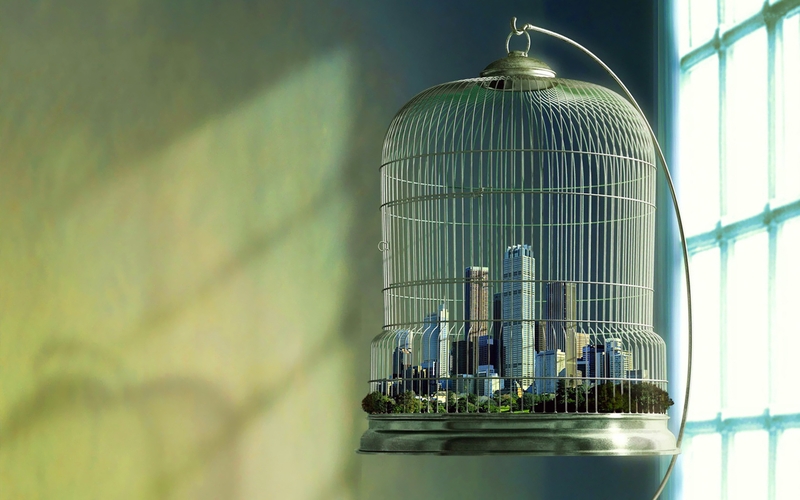 Why do we feel caged in the modern world? The modern condition, it is often held, is characterized by freedom and democracy, and it is safeguarded by institutions that are based on the same principle of free aggregation. The most important of these institutions are the democratic polity, the market economy and the autonomous pursuit of truth, called science. While this has been the master discourse of modernity, an alternative, critical interpretation quickly emerged, counterposing the image of disciplinization by modern institutions to that of liberation. Whilst there are benefits to the ‘predictability’ and ‘specialisation’ of what is available to a society, this uniformity also rubs against discourses of freedom and self-expression. Rationality leads to efficiency as a goal, and that in itself becomes an increasingly pressured goal that we have to live up to. In the process of rationalisation we feel dehumanised – which is what cages do psychologically. A ‘“Metaphor is a tool so ordinary that we use it unconsciously and automatically… it is irreplaceable: metaphor allows us to understand ourselves and our world in ways that no other modes of thought can.” ( Lakoff and Turner 1989: xi). Not all metaphors, however, are created equal. Some metaphors are not so easily modified or manipulated to serve rhetorical purposes. Within the broad universe of metaphors, some seem more natural than others—almost as if they are not being “chosen” at all. A container-metaphor evokes a sense of a ‘vessel’ – this is one of these pervasive and sticky metaphors. We use this type of metaphor on a regular basis across a wide range of thinking, e.g. When we talk of arguments, it is in terms of containment: “Your argument doesn’t have much content,” or “Your argument is empty,” or “That argument has holes in it,” or “That argument won’t hold water,” etc. If arguments can be either hot-or-cold, Zoltán Kövecses has been able to identify that ‘English, Japanese, Chinese, Hungarian, Wolof, Zulu, Polish, and others, possess the metaphor an angry person is a pressurized container to various degrees’. So, the way we make sense of the world, with some contextual cultural differences, is the same irrespective of the language used. This is not just how we perceive negative emotions; more positive emotions such as happiness or love are also evoked through the container-metaphors across both eastern and western cultures. Cross culturally there appears to be a common usage by different cultures of the body as a container for our emotions. We can talk about societies as being contained, eg. when we think of a happy society, they are in harmony and tranquil; when they are not they are at boiling point. This suggests that some of the potency of the cage as a container-metaphor is that it connotes a very emotional and visceral response in our thinking. When we look more specifically at cages, as a specific variation of container-metaphor, there are many different types. Given that in this investigation I’m primarily interested in the birdcage, I’ll only briefly discuss some ways that cages are used in different contexts. Cages have both restrictive and protective functions in how they are used. The more dominant meaning is restrictive: ‘A structure of bars or wires in which birds or other animals is confined’. Cages restrict freedom in the way that they limit movement. However, cages are different from other types of imprisonment in that they allow both the imprisoned and keeper to see each other. The imprisoned is permanently aware of what is on the other side – the allure of freedom. Paul Duro, in discussing the rhetoric of frames as a meaning construct in our thinking makes the point that ‘frames’ create their meaning, as much in what they contain but also in what they keep out. The protective cage is something that keeps the danger on the outside of the cage. Perhaps the most sensational version of this is the shark cage; to something more accessible such as an electric light bulb cage, or even the human heart within a rib-cage. All of these illustrate that cages can be defined by what they keep out, as well as what they restrict within. When we talk of political boundaries, the cage is a frequent metaphor. Graeme Morton, et al explores the concept of Scotland being a gilded cage in its development; the cage has been linked to discussions on British immigration; it has been used by Rashid Khalidi as a metaphor for his story of the Palestinian people; or in Australia for the credibility of political promises. There are many more examples from political narratives, the consideration here is that we can see both the protective and restrictive aspects of the cage symbolism through these examples in how we talk about society and politics. How we talk about our societies collectively can be contained within the cage metaphor. Cages still connote animals as a primary thought. There are many active causes that argue for the more humane treatment of domestic, commercial and zoo animals. Global attitudes towards caged animals are not the same; there has been an increasing trend to perceive cages as negatives in the Western world. When we think of caged animals, it was the Roman Empire that set the standard for caged fighting-matches as entertainment. The colosseums were spectacles of cruelty that involved caged animals and men. ‘Cages are one of the oldest form of enclosures used in professional wrestling. According to some historians, the first Cage Match of any kind took place on June 25, 1937 in Atlanta, Georgia. This match took place in a ring surrounded by chicken wire, in order to keep the athletes inside and any potential interference out of the action. The WWE has four types of ‘cage match’ competitions – each with their own rules, customs and myths. Although, it’s clear that some of the Roman traditions continue with illegal underground fighting still occurring today, e.g. fight fans were paying $300 a night to watch men fight in illegal cage matches around Melbourne, Australia in 2013. The word jail or gaol has its etymological roots in the Latin cavea ‘cage’. However, we don’t use the word cage, as this is out-of-step with a more redemptive and progressive society that believes in the rehabilitation of its prison population. 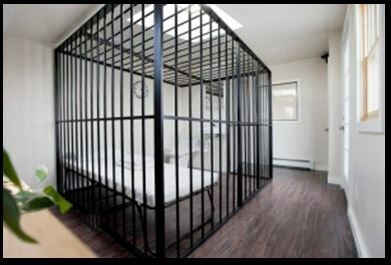 Calling a jail room ‘cells’ draws a comparison to the monk’s cell, a place for contemplation and improvement. Although, the word cell does derive from the Latin for room– ‘cella’, the role of churches in jails does suggests this association. There is still a tradition in judicial systems of referring to a defendant’s cage. M. Cherif Bassiouni has suggested that the reason for these originated from the middle-ages, ‘The original rationale for doing it was the fear that criminal defendants would attack or intimidate witnesses or judges’. Or from another perspective, a way of saying guilty till proven innocent. Perhaps the cruelest use of the ‘cage’ was in a practice known as Gibbeting, where the offender was hung in an iron cage to die and be testament, through example, to the rule of law. This was famously part of the comedic introduction to Captain Jack Sparrow in Pirates of the Caribbean. 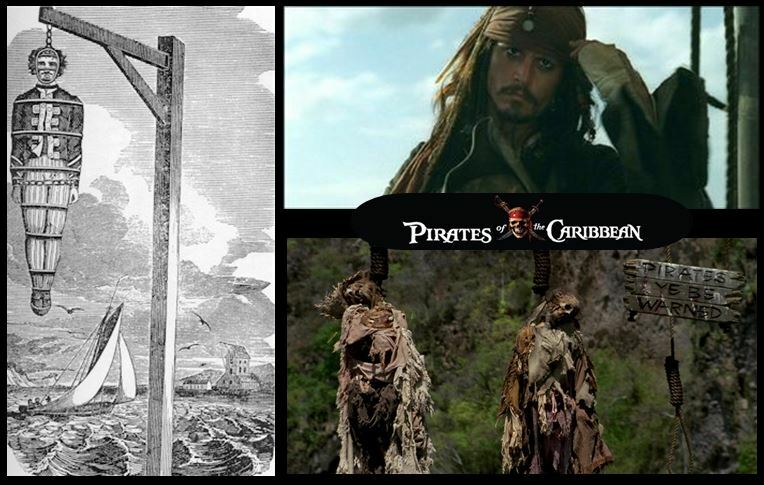 One of the most famous political use of this punishment was in Münster, Germany, where the gibbets still hang in the centre of the city today. The rule of the Anabaptists arose as a result of the radicalization of the Reformation movement in Münster. In March 1533, Münster had become a Protestant city, and now found itself under attack by the Catholic Bishop, who was also its established temporal ruler. In the course of the conflict, the radical Anabaptists gained ever more support; in February 1534, they won the majority on the city council and declared Münster to be the “New Jerusalem”. The siege around the city became ever tighter, and no outside support materialized, so that finally, through treachery and after several failed attempts, the Bishop was able to retake the city on 24 June 1535. The three iron “cages” suspended from the tower of St. Lamberti held the mortal remains of the leaders of the Anabaptist movement who were executed on the Prinzipalmarkt on 22 January 1536 after undergoing prolonged torture. The authoring-group Luther Blisset/Wu Ming tells a gripping narrative of this event in their collaborative historical novel Q. 1832 — August 3, William Jobling, for the murder of Nicholas Fairless. The body was gibbeted on Jarrow Slake on August 6, and at night on the 31st it was stolen and secretly disposed of by some persons unknown. Today incarceration of living people is big business almost industrialised in some nations. The US has more than 2.2 million people behind bars and this is increasing. At the end of 2012, ‘There are 4,575 prisons in operation in the U.S., more than four times the number of second-place Russia at 1,029’. Earlier this year a New York artist turned his rooftop studio apartment into a jail cell, offering ‘inmates’ an incarceration experience for $1 a night. As an accommodation offer, it is somewhere between penal-tourism and a unique Airbnb experience. ‘Most of August is already booked and September seems to be filling up fast. The artist says his latest piece, which is meant to double as a psychological experience, represents how he felt when he arrived to the ‘states as an immigrant because in his mind, everyone is living in a cage’. 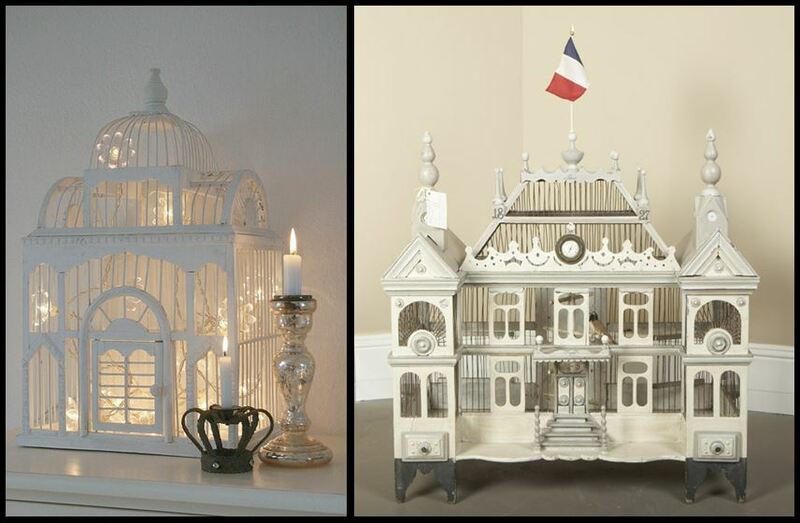 It appears that we have always had a fascination with birdcages or perhaps, birds-in-cages. One of the earliest bird ‘cages’ was built the Paquime Indians, Casas Grandes River, of the Pre-Columbian Puebloan community that around 900-1340AD who were breeding scarlet Macaws, with a dedicated house to this function. The early Greeks, Romans, Byzantium all have examples of birds-in-cages in literature and on pottery. 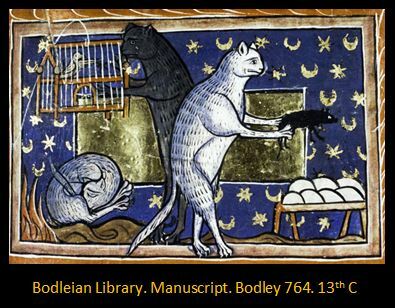 Richard Randall believes that ‘The interest in strange and colourful birds and animals in medieval western Europe was an expression of the fascination with the unusual, with monsters, with the weird and exotic’. At this time, they increasingly are mentioned as part of the costs and accounts of castle inventories through Europe. Birdcages continued to be a status symbol through the 17th and 18th Centuries in both the West and East. One way of thinking about their presence is that they did speak to the worldliness of their owners. Although as accepted status-symbols, their presence might have been motivation enough, like many cultural trends. Most paintings of the time show them as objects of prominence and note within compositions. In a world without radio, it might have been a way of creating a different ambience in a house. It’s also likely that there were more practical reasons to have birds in cages, outside of aesthetic considerations. They were also a portable larder ‘Bird cages were hawked by peddlers along the streets, as were the birds themselves, and cooks kept birds fattening in them outside their larders’. 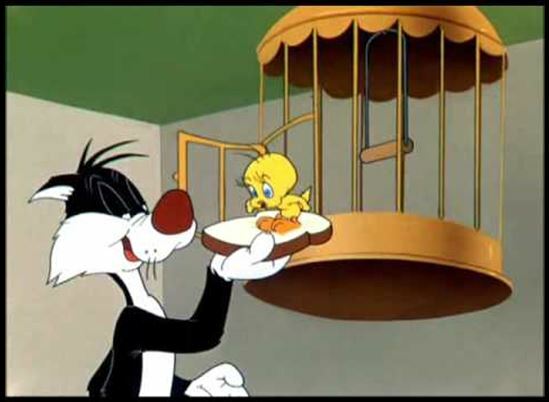 Firstly, that many western cultures have largely stopped keeping birds in cages for food on a personal level; while this is still a tradition in the East. This might impact on how Western cultures perceive the birdcage as a status item more than a practical one. Second, that their use as a ‘canary in a cage’ functioning as a mine alert for toxic gasses stopped in 1986. This is not to suggest that we no longer cage birds. The United Nations estimates that there are more than 21 Billion chickens on the planet today, with the vast majority of those being in cages. The allure of exotic birds is part of a billion dollar illegal business today. Although a lot of this trade is for harvested body parts of animals for largely Asian markets of ‘natural remedies’. 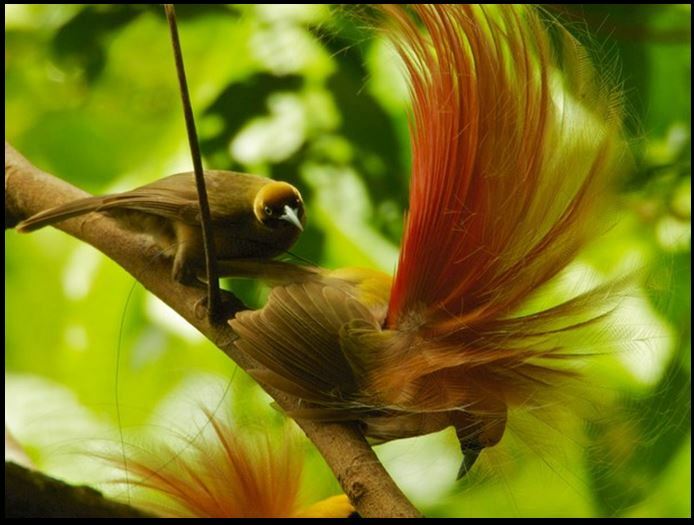 Many countries such as Australia and South American nations struggle to control this illegal trade in birds. What does a Bird Cage symbolise? ‘The bird, even when caged, remains a symbol of freedom and a stimulus for thinking about the relationship between freedom and human society’. Do birds convey a special symbolism here? While I’ve been focusing on a Bird Cage, there are also established traditions of Butterfly cages or farms or Fish Cages. 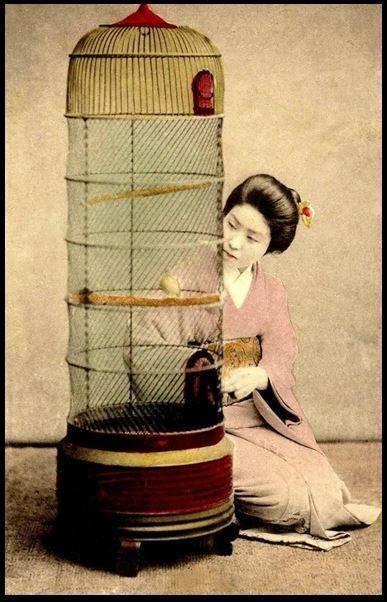 However, there does appear to be a natural connection with birds that lends themselves to cages in the cultural record. Perhaps it is this identification with them that has led to more architectural forms of cages – suggesting they are like people. Although, this also reflects a projection of our own urban living – that our houses are cages, as discussed above. A central consideration, is that this close human connection does appear to be driven more by the sounds they make than the appearance of birds alone. In Southeast Asia, we can see cultural festivals that celebrate this nature of song. It’s not just song, as a social-animal, we have a particular fascination with the only animal that can ‘talk’ like us. At the other end of ‘high’ culture, Mozart had a special relationship with an inspirational pet starling. On 27th May, 1784 he purchased his starling and three years later buried it with much pomp and ceremony. Mozart’s starling was a European Starling. This was a bird that Shakespeare revered for their voice and song; as a result 200 were introduced in the 1890’s to support theatre productions in NYC. Escaping their cages, their population in the USA exceeds 200 million today. The human qualities of the bird can also be seen in how we describe collectives of different species of birds. Those that are more renown with human like voices or thinking have more human like and emotional descriptions: a parliament of owls, a party of jays, a pitying of turtledoves, a brood of hens, a company of parrots, a colony of penguins, a charm of finches, an exaltation of larks, a congregation of plovers etc. There is a heritage of birdcages being associated with social status displays – particularly around the idea of collecting amongst the social elite. 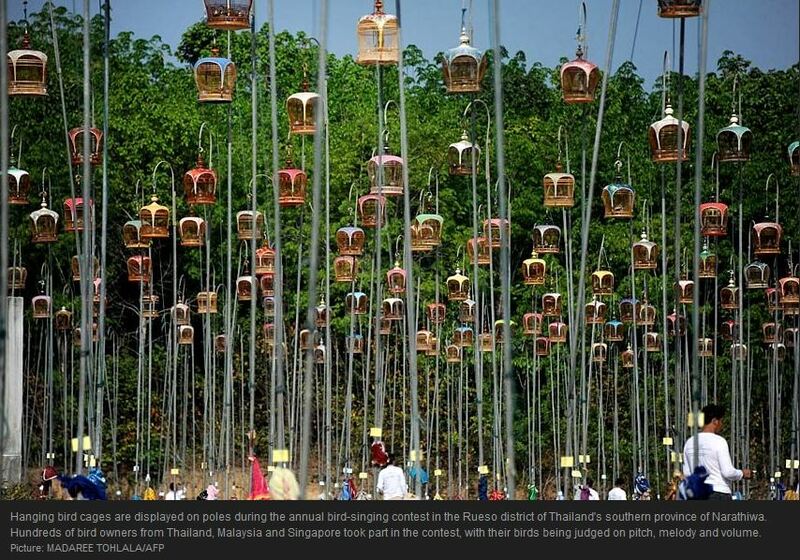 Birdcages are symbolic of a loss of freedom for the bird but also a frame of appreciation of their natural wonder. They contain birds that are symbolic in their own right and humanity has a long tradition of projecting meaning onto our feathered friends. When we start to look at the use of the birdcage in modern western culture there are some very distinct themes. Most of these revolve around the adoration of the pretty-bird as an object of status. There is also a strong association of the female gender with birds. So, from a feminist perspective, birdcages are symbols of oppression. 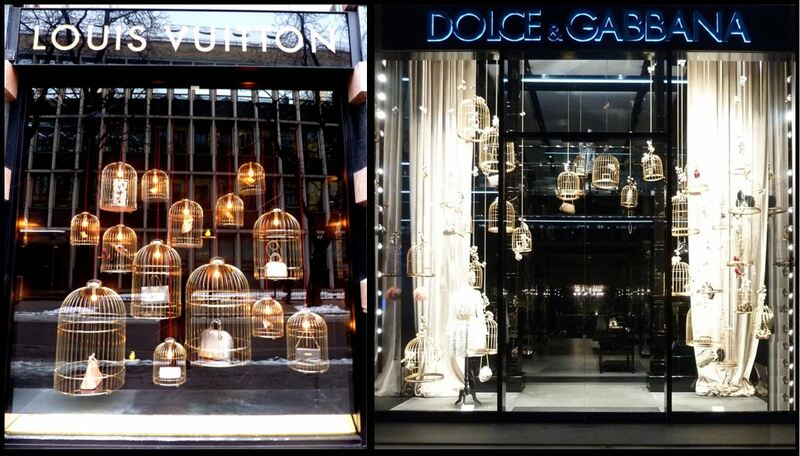 There are many brands that replace the ‘pretty bird’ with a model in the cage as an object of desire. They employ the cage as a frame to their projected status and desirability; and at the same time symbolically evoke the glamour and attractiveness of the bird. Clearly, the bird as a metaphor for femininity is very present here. The slang for women in many western cultures is ‘chick’s’ or ‘birds’. While this can be used positively by women as in the ‘Dixie Chicks’, it can also be derogatory by men as dismissive, ‘chick flicks’ or ‘chick lit’. Overly mothering women are referred to as ‘mother hens’. It is idiomatic to use animals as analogies, ‘women eat like sparrows, men eat like pigs’. In French, the slang for prostitute is grue which means the bird Crane –both having one leg up waiting. There is, of course, a subtext here that early fashion involved literally caging women. These ‘crinoline’ dresses were cages that appear in the 1840’s, with up to 8 petticoats over them. They apparently illustrated people of a particular social mobility. Today much of the ornithomorphic fashion trends centre on ‘fascinator’ head pieces as highly stylised headdress evoking the plumage of birds. 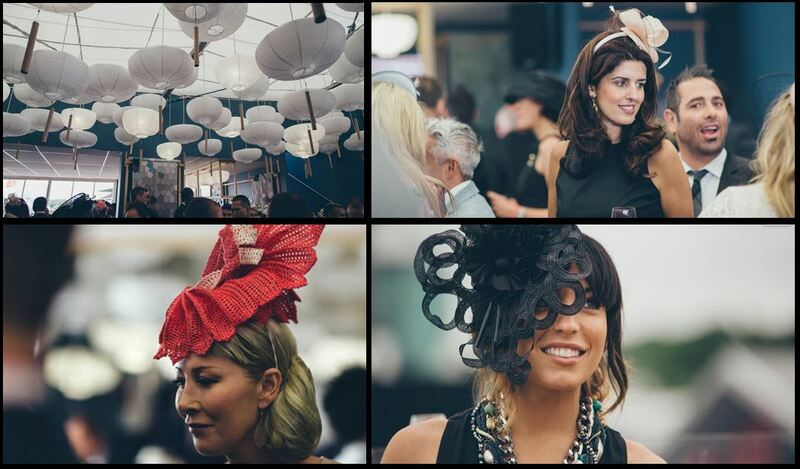 This can be observed ethnographically at the Lexus Marquee – The Birdcage – at Australia’s Melbourne Cup. Of course, the irony here is that in nature, it is the male that gets all dressed up and works hard for the female’s attention; and it is the female that is either ‘drab’ or natural depending on your perspective. There are numerous ‘comedic’ routines about ‘thighs’ and ‘breasts’, through these poultry associations, that frame women as objects for male consumption. Or more negatively through images that evoke the cage dancers – women as commodity. This theme of the enslavement of women in cages has a long history, the tawdry movies from the 60’s and 70’s were examples of this. We also find this thinking in mainstream advertising. 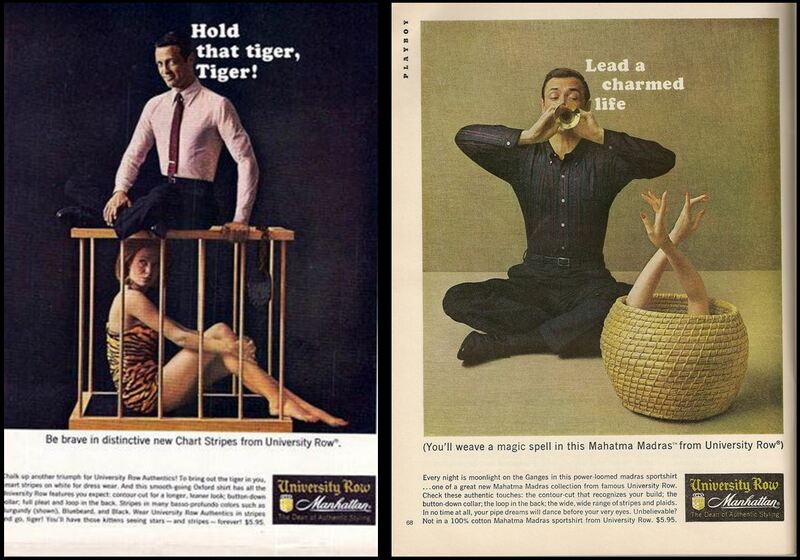 The men’s fashion brand ‘University Row Manhattan’ had a range of advertisements in the 60’s that suggested that successful men had captured women – these are so stereotypical chauvinistic and sexist they almost appear appears to be satire today. The origins of this type of thinking might have come from the exotic promise of pleasure palaces for the princes in the mysterious east. Where the Harems were called the ‘Golden Cage’ filled with attractive ‘birds’. The origins of the idea of ‘the golden cage’ filled with beautiful and exotic women at the beck and call of men come from confused understandings of the Ottoman Harems. It’s also possible to consider the Geisha traditions within this sphere – although they are not necessarily sexually subjugated as the women of Ottoman harems. That different cultures have all developed similar conceptions of women/birds in cages speaks to a shared underlying container-metaphor at work. Bird Cages are also used to evoke the singer the chanteuse, which historically performed for men. 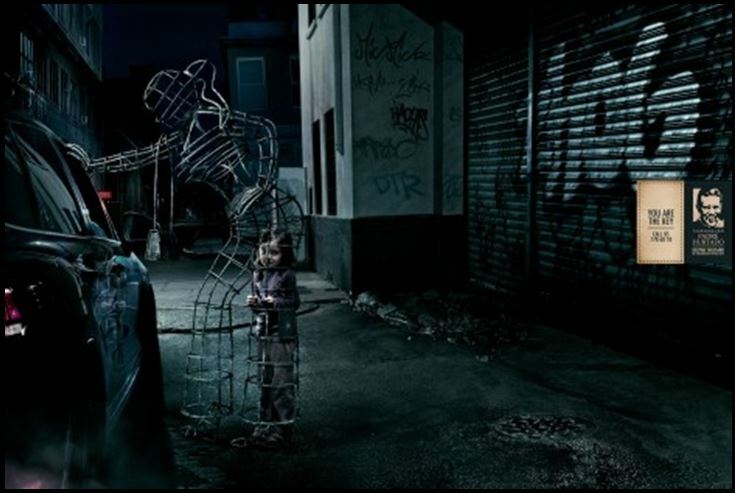 However, the cage does still evoke a sense of confinement with no way out, as is illustrated in this powerful anti-prostitution campaign that alludes to the gibbet cage. 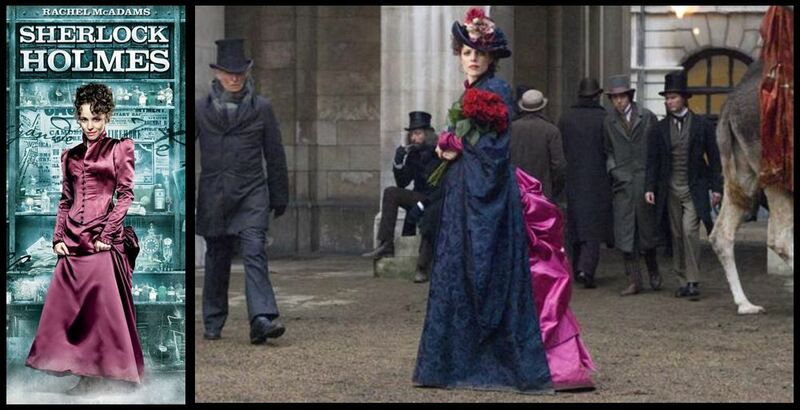 It’s interesting that the fashion world turns an indifferent eye to much of the negative birdcage imagery. Clearly, there is still an allure and magic to evoking the ‘pretty bird’. The rare, exotic and beautiful creature that is on display – the eternal quest to be desirable. This must be resonating with the consumers of these fashion trends as well. In fact, in fashion it’s easy to find ‘cage’ imagery across many platforms. Although there is differentiation and awareness of symbolism here. The message of both Louis Vuitton and Dolce & Gabbana is that their products are the beautiful objects of desire to collect and not the woman. This speaks more broadly to the theme discussed above that birdcages are frames for objects of status. Of all the luxury brands, Chanel has made the most frequent use of the birdcage metaphor and symbolism (they have many other modes of advertisement). One of their most famous campaigns was with the young Vanessa Paradis, perhaps not ironically depicted as a paradise bird; where the actress and singer is literally ‘l’esprit de Chanel’. The cumulative effect of the ad is to evoke connotations of glamour, French culture and style that many competing luxury brands try to associate with their products. Here, the ‘bird’ as a siren of attention, where with a dab you can be transformed to seduce others with your style and sexual appeal. This symbolism has been used in how they have evolved their brand iconography. They have produced jewellery that speaks to both the positive and negative facets of birdcage symbolism: liberation and being caged. Although, a more charitably interpretation is that instead of being caged, is that they are the focused object of desire. 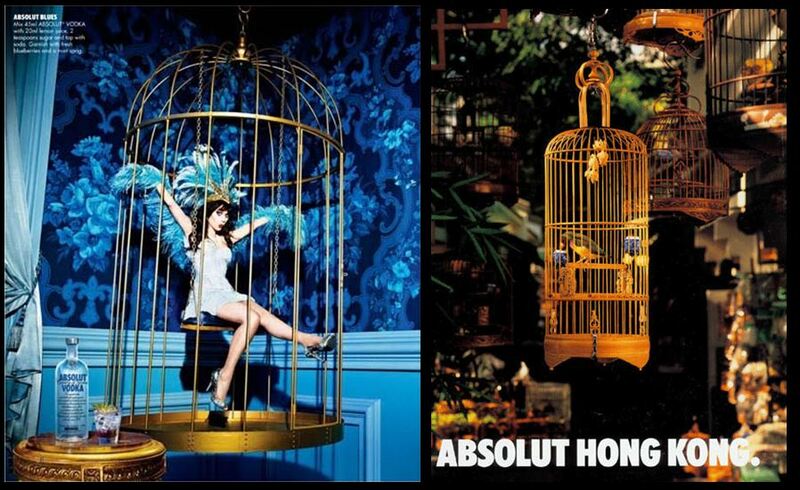 Some of the more recent ads appear to be challenging the more negative side of the objectification of women in cages. Here the woman cannot see that she is already an object of beauty and is free of the cage. Although, the frame she is in still suggests luxury and a golden cage. Another campaign that appears more negative and evokes the idea that this article started with, is that our apartments are the cages we seek to escape from, especially from the heritage of their use of the birdcage. Again the ‘frame’ of the advertisement is that the model is one of luxury and wealth. 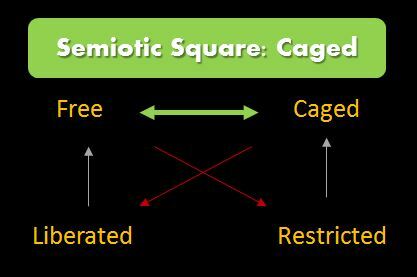 If we look at the concept of the Birdcage in terms of what meaning it creates, we can use a semiotic-square to map the meaning axes of being caged. This provides us with four articulations of the cage. What we find is that all four articulations of meaning are present in modern discourse. There are some considerations here. Since we think in container-metaphors, we think of our modern lives in terms of being through the two modern discourses: freedom and discipline. The tension point being how ‘trapped’ we feel in the modern cities we engage with. When the birdcage is treated as a symbol that evokes the verb of being caged (or negation of) we find that it speaks to modern life. The positive is not to show the cage but being outside of the cage. The birdcage as a frame for focusing attention on the woman as desirable and glamorous. The birdcage as a frame that objectifies woman and limits their equality. The question is, with the fashion industry so consistently using this symbol, how is it framing how we perceive women in society? 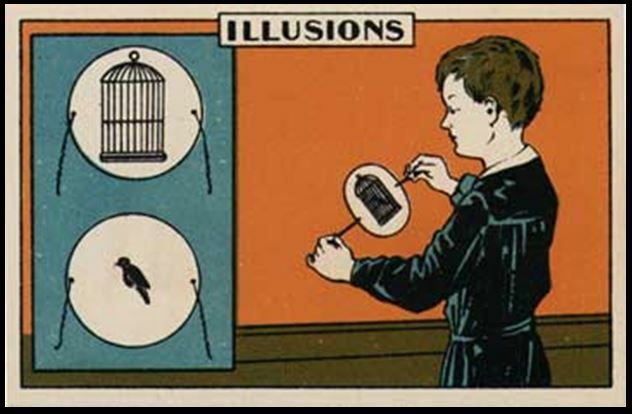 Perhaps the fashion industry are successfully performing a version of the Thaumatrope trick developed by John Ayrton in 1825; it’s an illusion that the bird is in the cage and I’m looking at the wrong side of the issue. While you used the idiom of the cage to illustrate modern life entrapment it is certain that all cultures have their restrictions on community members. If we live in an Aboriginal camp there is a set of rules tolerated by members and transgression will draw serious consequence. Newly found South American Indian tribes have severe restrictions on members including status recognition, partnering rules and food sharing etiquette. So the cage as an illustration of a group’s lifestyle, community mores and expectations is universal. Other symbolisms include ‘boxed in’ and ‘chained’ to the job etc. My personal culture of various restrictions as expected by members of my group I respect is much preferred by me. The application of law also is a restriction which I choose to respect as the consequences of transgression are too imposing. I would hate to now be constricted by such as an indigenous culture along with their superstitions and any form of ancient or modern religious imposition. As we expect from you a delightful and thoughtful article. Hope you get sleep at night with your head in these features you write! You are right that there are different cultural expressions of the ‘container metaphor’. Primates also show the need of social-cohesion and rules to keep a population functioning. I think the dangers come from the more invisible structures that we accept and don’t challenge that have evolved from previous generations. Cages frame the way that we think and not always in a positive way.